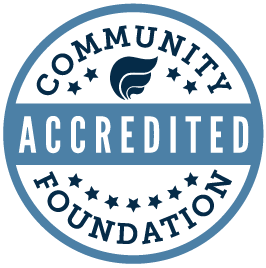 Here, we are so proud that more than 150 nonprofits across eastern Iowa and western Illinois have trusted the Community Foundation as the place to start and hold their endowments, allowing each of them to solidify the long-term financial stability of their organization—and their missions. I like to think of endowments as the backbones of our nonprofits. It is important to invest in the special needs that arise throughout the year, but it’s equally critical that we pour resources into endowments that provide the flexible and reliable funding that leads to stability. We feel strongly enough about this that we are celebrating our 55th year at the Community Foundation by helping nonprofits in our primary service area to grow their endowments. This morning, I’m proud to announce that our Board of Directors has committed $75,000 from our Community Impact Fund to provide a 1:1 match to nonprofits in our service area of Rock Island and Scott Counties who have an endowment fund of $10,000 or more (a complete list of eligible organizations and funds is available here). Beginning April 1, you can go here and give $1,000.55 or more to one of the nonprofit endowment funds on the list. If the amount you give ends in 55 cents, we will match your gift 1:1 up to $10,000 for any organization, until the match funds are claimed. When I look at the list of eligible nonprofits you can give to, it is an incredible reminder of the breadth of services and opportunities these nonprofits provide. Through this 1:1 Challenge Grant match, generous Quad Citizens like you are given a fresh opportunity to reflect on the organizations and that you value and make a bold move to give of your resources to strengthen their work. As many of our Quad Cities nonprofits continue to face a future of less state and federal funding, we commit to not letting their needs go unmet. When we give to—and grow—local nonprofit endowments, we can be confident that they will go on to do their best work in our region. 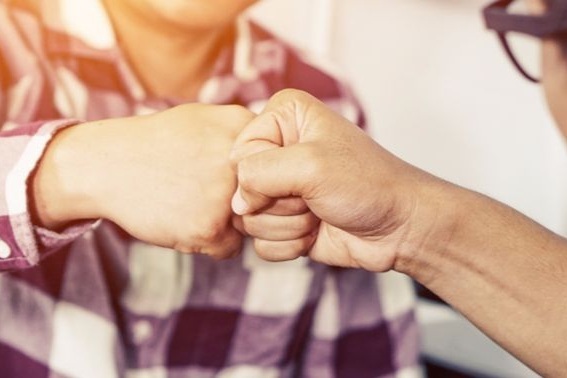 When we give, and give generously, we are ensuring the future of the organization, including the ability to do things like pay staff, keep the lights on, and provide the best services possible today—and forever. In short, we help them become stronger—so we can become a stronger community. Now that’s a challenge I know we can get behind.